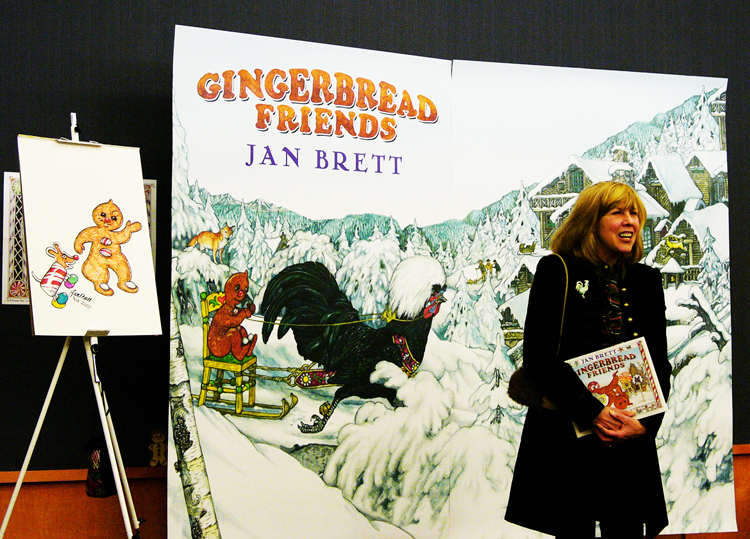 We were lucky in Iowa City, Iowa to find Jan Brett telling about her new book Gingerbread Friends at the public library on November 13th, 2008. She drew the Gingerbread Baby on the easel, left, for an enthusiastic audience of little children and adults seeking her autograph. The rooster on the cover lives at Jan’s home near Boston and is happy to pose for her art works. 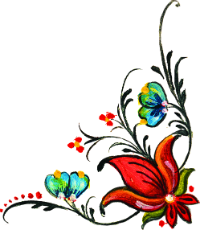 Jan carefully researches folk art and traditions while traveling in Europe with her husband, a member of the Boston Symphony. She told the audience that even as a child her ambition was to be an artist illustrating children’s stories. 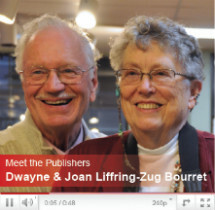 Jan writes many of the stories in her books. Confident and cocky, the Gingerbread Baby happens upon a bakery, where he dances and prances in front of a sugar cookie girl, trying to make friends. But she just stares and doesn’t say a word, like all the other sweet treats he tries to meet. 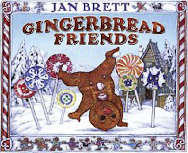 Discouraged, the Gingerbread Baby runs home, chased by a long line of hungry creatures, where Mattie has a fantastic surprise for him: gingerbread friends that fill a giant fold-out page. Approx. 11 x 9″ 32 pages, hardback. Sift together dry ingredients and set aside. Beat butter, molasses, and egg yolks until smooth. Add the dry ingredients to the butter mixture alternately with the buttermilk. In a separate bowl, beat the egg whites until stiff; fold into the batter. Bake in a hot waffle iron. Serve with apple cinnamon sauce (page 112), whipped cream, or melted butter and powdered sugar.